Presenting an intriguing ‘concert in two halves’ with the first half from the Portfolio Improvisers group and the second featuring three fine guitar players from the UK, France and Canada. We are delighted to be hosting this excellent scheme with many thanks to Sound and Music. In the words of Sound and Music their Portfolio scheme provides a key development opportunity for composers to create new work with and for some of the UK?s leading ensembles and presenters of new music. Portfolio enables them to develop their portfolio of compositions and gain vital artistic and practical insight and experience in working with professional ensembles and presenting organisations, and delivering new work to public audiences. We are delighted to host this fine group of improvisers mentored by Steve Beresford. Begun musical life at Sheffield Cathedral choir as a boy, studying violin, piano and guitar, before concentrating on bass guitar. His twenties saw him touring Europe in various avant garde punk bands and studying Jazz, before taking up the double bass. He now combines study of the bass in improvised music with work as a freelance, including work with folk singer Mary Hampton, Afro/punk Dadaists Orchestre Tout Puissant Marcel Duchamp, the orchestra Sinfonia of Leeds, contemporary jazz with i.d.s.t., and own projects including 7 hertz, Nut Club the Bennett Cole Orchestra. From Manchester his music ranges from processing canvas sounds with Takahashi?s Shellfish Concern to the ambient and skronky riffs of HAQ as well as playing in The Beats & Pieces Big Band. 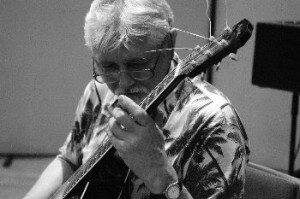 He can be found playing in a variety of settings with musicians such as a.o Mick Beck, Sam Andreae, Simon Prince, Rodrigo Constanzo, Cath Roberts, Phil Marks, David Birchall, Keith Jafrate. Improvisation is a core activity and in 2007 he formed The Noise Upstairs. Initially a meeting place and jam session for improvisers, it has grown to include events in Manchester and Sheffield, regular workshops on a range of subjects and a small record label. He co- runs Efpi Records, a contemporary jazz record label, who also run regular gigs in Manchester and have links across Scandinavia. Involved with a variety of improvisation- based projects, icluding a trio with Liam Noble and Mark Sanders. Also a trio with Danish saxophonist Julie Kjaer and cellist Hannah Marshall, and a duo with bassist Olie Brice. She is a member of clarinetist Alex Ward?s new quintet and Eddie Prevost?s Atmospheric Disturbance She has also written for and recorded with her own band, Skein, which released a highly acclaimed album on F-IRE Records at the end of 2010. She was picked by BBC Jazz on Three to perform at Cheltenham Jazz Festival last year and has performed with a.o Alcyona Mick, Han Bennink, Liam Noble, Gail Brand, Eddie Prevost, Olie Brice, Federico Ughi, Mary Halvorson, John Russell, Adam Linson, Seb Rochford. Steve is internationally renowned as a free improviser on piano and electronics. He plays with and conducts the London Improvisers Orchestra and has worked with hundreds of musicians, including Derek Bailey, Han Bennink, Evan Parker, Otomo Yoshihide and John Zorn. Photograph Andy Newcombe. Arthur has been active on the improvised music scene in Canada since the mid-1970s, when he played with a.o. John Oswald, Michael Snow, Stu Broomer and the CCMC in the early days of the Music Gallery in Toronto. In 1980?s he was a member of the Bill Smith Ensemble, and collaborated with various filmmakers and sound poets, including the Four Horsemen and Bob Cobbing. 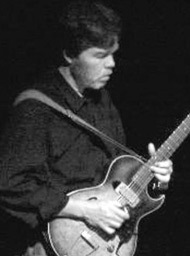 Since the late 1990?s he has toured and recorded extensively in a duo with fellow guitarist Daniel Heïkalo. He has performed in concert with a.o. Roscoe Mitchell, John Tchicai, Joe McPhee, Roger Turner, Peter Kowald, Paul Rutherford, Fred Anderson, Mike Cooper, Michael Snow, John Oswald, Paul Dutton, Bill Smith, Derek Bailey, Kidd Jordan and John Butcher. He is also a published poet, and an activist in the small-scale fisheries movement. He lives on Digby Neck in Nova Scotia. Pascal is a classically trained guitarist active in Paris, his home city, both as an improviser and organiser of improvised music events. He should be well known to Mopomoso audiences where he has performed on a number of occasions. 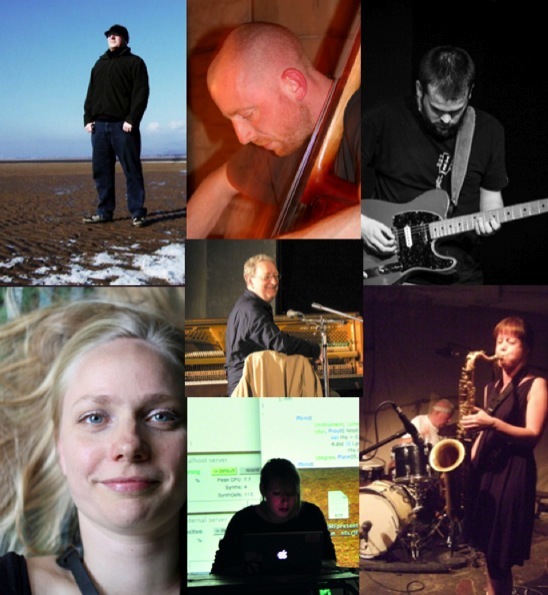 As well as his duo with John Russell (CD Translations – Emanem 5019) work with other English improvisers includes with a.o. 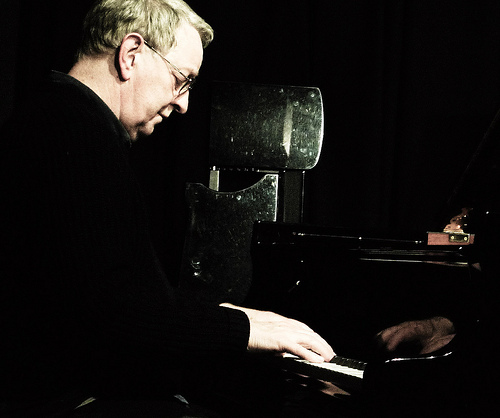 Steve Beresford, Keith Rowe and the London Improvisers Orchestra. His solo performance at Freedom of the City 2007 was one of the highlights of the festival and was rapturously received by the audience at London’s Red Rose club. He has also recorded in a quartet with Philipp Wachsmann, Teppo Hauta-Aho and Roger Turner. 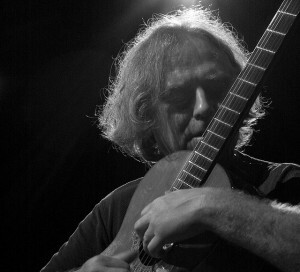 His playing has been influenced by his interest in the folk musics of Eastern Europe, Asia and Africa. Photograph Helen Petts.